In a change of pace here at the DB Sports blog we have some exciting news from our player agency side of the business. 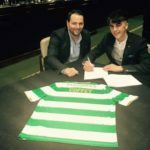 Today we are pleased to confirm that DB Sports Co-Founder David Berber has worked closely with Irish youngster Barry Coffey joining Celtic FC. Coffey had been courted by several big clubs, including but not limited to the likes of Chelsea, Brighton, and Leicester to name but a few. 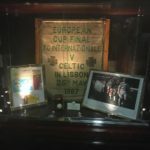 Despite such interest from giants of the Premier League, Coffey chose to head north to Glasgow, where he will wear the famed green and white hoops, hoping to eventually break into Brendan Rodgers’ historic treble winning side. Coffey (16) hails from Nenagh, Co. Tipperary, and leaves local club Nenagh AFC following a successful young career there. While maturing as a player with Nenagh AFC Coffey went two consecutive years unbeaten in the Kennedy Cup in 90 minutes (2014 and 2015) and also holds the highest goalscorer merit with 11 goals, which all came from the number 8 role. 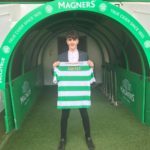 He found success on the international stage too, being capped for Republic of Ireland at both under-15 and under-16 level, while he also captained his country at under-16 level in a match against Denmark. All of this success and quick progression saw Coffey move on to senior mens football this year while still with local outfit Nenagh AFC. From that interest from abroad was inevitable, having went on trial with Fulham FC, Brighton Hove & Albion, Chelsea FC, Aston Villa, Birmingham City, Leicester City and of course Celtic FC. 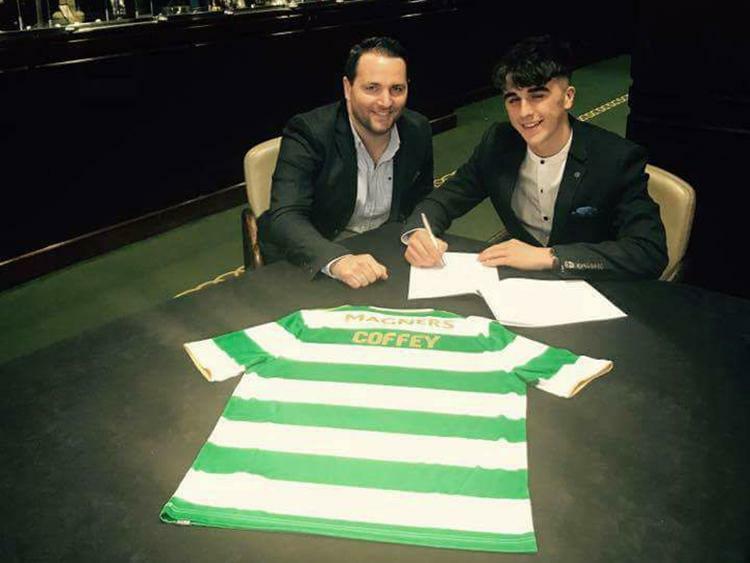 It was Celtic who stole his heart, with Coffey putting pen to paper this week alongside his agent and DB Sports Co-Founder David Berber with a three-year deal. 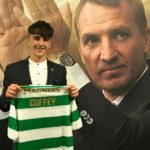 Coffey will now join the Hoops’ youth ranks, but given the quick progression of Kieran Tierney at Celtic last season, anything is possible for Coffey in the coming months and years in Glasgow. The aforementioned David Berber spoke effusively of Coffey following the signing of the deal, stating: “Im absolutely delighted to be working with Barry and the Coffey family. Its a breath of fresh air working with a family who are so distant from the Dublin madness and really understand the commitment and dedication it takes to become a first team footballer. Barry’s brother was just named Tipperary U21’s Captain and his dad has previously won numerous senior club hurling titles. Barry’s application and work ethic is second to none, I remember when he went to Celtic for the first time he was emphatic about the standard and quality of the training which in the end was one of the main reasons for choosing Celtic over premier league clubs.”. If you are interested in more stories like this, keep an eye on our regularly updated blog here, featuring lots of news from our player agency services.